Hello and welcome to the first in this new “chord progression of the week” series. The purpose of these articles will be acquainting you with chord progressions that are often found in songs. 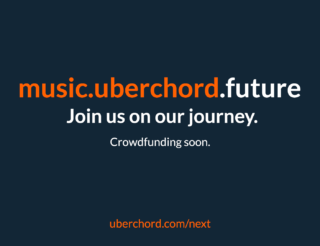 I’ll be analyzing the chord progressions in question so as to find out why they sound the way they do, as well as showing you alternative approaches to them. 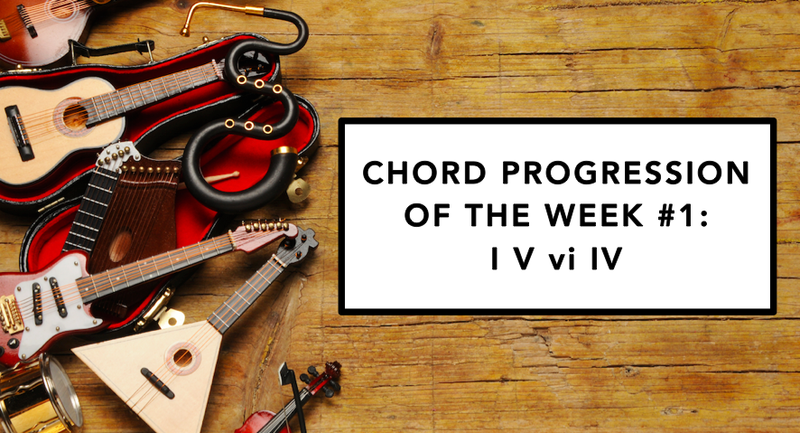 If you do not know, what the roman letters I, II, II means in this context you should read through our music theory post #7 to get an introduction to chord progressions. Quite straightforward, as you see. This simple, yet effective chord progression is found in a respectable amount of songs, many of them hit singles and the like. In the following paragraphs I’ll attempt to find out why it is that this progression is so effective and useful. Where can it be heard? 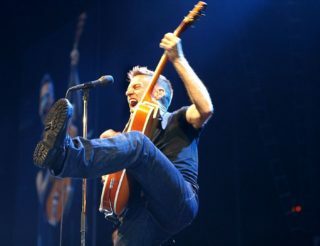 This kind of chord progression is heard not only in famous pop songs such as Green Day’s “When I come around”, James Blunt’s “You’re beautiful” and A-Ha’s “Take on me”, but also in plenty of rock and metal songs. This chord progression is noted for its simplicity and circle-like sound. Similar to other progressions such as I vi IV V or I IV V, I V vi IV conveys the sound of a cycle, one that ends with a cadence leading to the tonic chord of the key. I believe that music theory can help us figure out why certain things sound either “good” or “bad”. This is where some analysis comes into play. Perhaps the simplest feature of the chord progression in question is its “cycle-like sound”, where we start at a certain point, just to close the circle and start again. This is made possible by the plagal cadence that leads from the IV to the I. Each pair of chords shares chord tones with the next one. From another viewpoint, the chord progression contains the three most important chords in any major key: the tonic, the dominant and the subdominant (I, V and IV, respectively). Besides the plagal cadence at the end of it (IV I) you also have a deceptive cadence (V vi) in it. Something that you should do with anything you learn, is to give it your own twist. 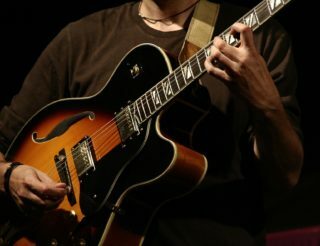 As far as chord progressions go, you can either play them using different techniques, or improvise on top of them using whatever scales fit. In the following paragraphs I’ll show you easy ways to make a simple chord progression sound different by simply adding tension notes to the chords involved. In terms of texture and color, it’s well worth exploring what adding tension notes and substitutions have to offer. Consider that I V vi IV in A major from above and let’s see where it takes us after modifying the original chords a little. Bear in mind that, however methodic and analytical these considerations might seem to you, the more you put them into practice, the more they’ll become part of your identity as a musician. Listen to a demonstration of all the examples recorded for this article here. The aforementioned connection between the chords, originating from them sharing chord tones, becomes stronger if we add tension notes to every chord. Notice how the sound of the progression instantly changes. Notice how the note E is contained in every chord. This could lead to some interesting sounds when using inversions. So far I’ve shown you what can be done with our I V vi IV if we just add tension notes to the original chords. Now let’s see what happens once we start using secondary dominants. This modification sounds kind of jazzy thanks to the altered chord and the tritone substitution leading back to the tonic. Notice how many things you can do if you take four chords as your starting point. At times, having a simple basis to start with is the best way to create more complex-sounding stuff. This is something I’ll be demonstrating next time. Very good article .. Well presented ? ?